– IOC president Thomas Bach talking about the obvious connection that exists between Olympic sports, politics and business, which has almost always existed but isn’t always acknowledged. Why do so many people give up on physical fitness after hs and college? Paula Radcliffe is back!!! Aiming to run 35 minutes for 10k this weekend. Thoughts? This Weekend Rock ‘N’ Roll Philly Half and USA 5k Champs! 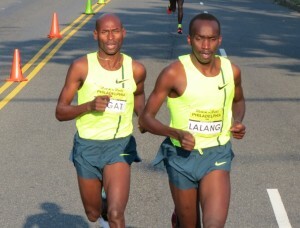 MB: Philly RnR Half Marathon – Baden Karoki 59:23 / Aberu Kebede 68:39 / Deena Kastor 69:39 NEW Masters WR! It was a great day for Deena. 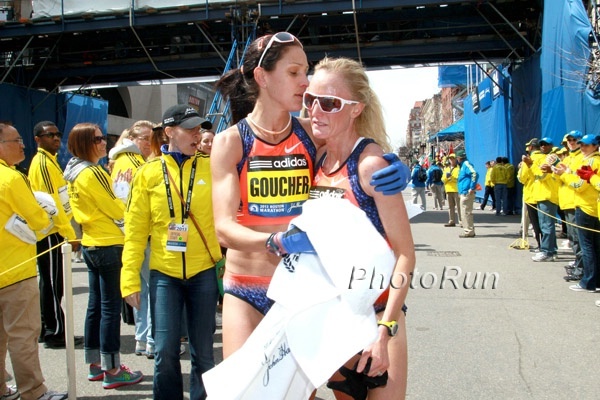 RRW: Kara Goucher Sees Methodical Approach To Her Fall Racing Goucher says her goal in RNR Philly as well as the NYC Marathon will be to run a solid race at her own pace. She isn’t trying to run to win on Sunday. 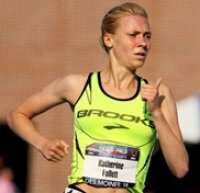 Providence: 2014 USA 5k Champs – Eight Story Lines To Follow Molly Huddle will be in Providence trying to defend her crowns, but it won’t be easy as the NOP is showing up with Mary Cain and Jordan Hasay (and Centro). Emily Infeld will be there as well. Watch it live at 11:15 am ET for free. British 1992 Olympic 800 Finalist Curtis Robb Wins 800 In 2:06 At 42 Years Old The race was in memory of former UK 800 champ Mark Sesay, who died last year at 40 years old. Olympic Marathon Champ Tiki Gelana Hilights Dam tot Damloop 10-Mile In Amsterdam Her main competition will be Linet Masai as well as the men’s field as the women get a 6min head start with the winner getting an extra bonus. The men’s side has defending champ Nguse Amlosom, Peter Kirui and John Mwangangi. The 4th-Fastest All-Time 10,000m Runner Nicholas Kemboi (Qatar) Leads Field For Siberian Marathon Kemboi has run 26:30 for 10,000 and 2:08 for the marathon. He faces Kenya’s John Kyalo Kyui (2:10) and Emmanuel Sikuku (2:11). Russia’s Olga Glok (2:27) faces Ethiopia’s Bizunesh Urgesa (2:30) on the women’s side. IAAF Preview Sydney Marathon: Seboka Tola (2:06:17), Sisay Jisa (2:06:27) And Benjamin Kiptoo (2:06:31) Lead Men’s Field CR holder Beruktait Degefa (2:26:22 PR) is running her 5th marathon of the year and faces Karolina Jarzynska (2:26:31). Ryan And Sara Hall Talk To Outside Magazine About Their Obsession With Food The two are very into cooking and trying interesting ethnic foods and talk about how food was big for them when they were dating in college too. Q&A With Meb Keflezighi On “Aging Gracefully” The phrase almost doesn’t apply to Meb as he’s still setting PRs as he nears 40 years old. LRC It’s Time To Vote: NCAA XC Fans Super Polls Are Back The pro track season is over and that means it’s time to turn your attention to NCAA XC. Our LRC Fans Super Polls are back where you tell us the top 10 teams in the country and the top teams in each conference. New Penn State AD Promotes Jon Gondak, He Moves From Interim To Permanent Director Of Penn State XC/Track And Field Gondak had been a long-time assistant to Beth Alford-Sullivan. Amazingly, the press release talks about his coaching the NACAC team this summer as a key qualification. *Discuss in our NCAA Coaching Thread. Ole Miss’s Sam Kendricks Goes Pro, Won’t Vault For Ole Miss As A Senior The two-time NCAA champ won NCAAs and USAs this year. Not sure why he didn’t go pro after USAs. LRC New York Vs. Chicago, Your Worst Race Ever, Eugene 2018, $$$, PEDs In The Military, And Talent Does Not Go Away The Continental Cup brought to an end the 2014 track season and that means we turn our attention to marathoning – Chicago and New York. 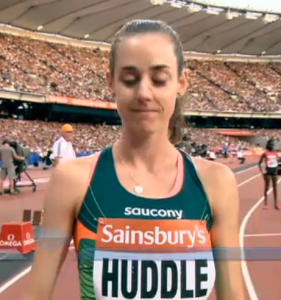 Plus a defense of Katie Mackey and Andrew Bumbalough, a look at $$$ – prize money & appearance fees – Kevin Durant vs. the IAAF and USATF, and Eugene 2019 2018? Wallace Spearmon Gets 3-Month Doping Ban For Testing Positive For A Steroid Spearmon’s ban was only 3 months because USADA accepted his explanation that he was taking it in a therapeutic dose under the care of a doctor, but he never got a TUE. Eliud Kipchoge Says He’s Going To Chicago To Run His Own Race, Not Compete Against Kenenisa Bekele More interesting than that, the writer, Justin Lagat, shares a story he heard about a giant “man-like creature” that was eating dogs. Rita Jeptoo Is Focused On Winning Chicago Rather Than On Winning The World Marathon Majors And The $500,000 Jackpot She only needs to finish in the top 3 in Chicago to win the overall WMM title. 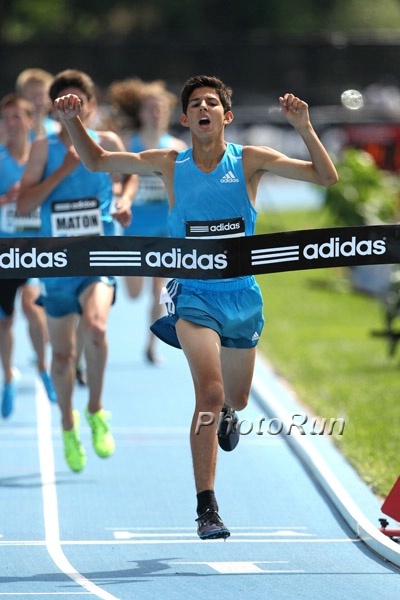 Grant Fisher Starts Of His XC Season With A Dominating Win With 15:22 Fisher has decided to give up playing soccer to focus solely on running. Go here to read our piece on him from this summer. South Afircan Court Tells Athletics South Africa To Pay Nearly A Million Dollars To Pole Vaulter Who Was Injured At A Meet ASA claims that Jan Blignaut won his case by default since they were unable to defend themselves properly with the “disorganization” of the past few years. They will now try to seek advice from the IAAF. Ireland’s Ciara Mageean Looking To Continue Her Comeback This Fall By Medaling At Euro XC Champs After being out 2 years with injury, Mageean was 3rd last week at the Fifth Avenue Mile. Amanda Mergaert And Megan Malasarte Join Brooks Beasts Track Club Malasarte ran for the University of Georgia and was 4th in the 800 at NCAAs this year. Mergaert was 3rd in the NCAA 1,500 in 2013. Research Finds Correlation Between Successful Companies And CEOs That Run Marathons Researchers found companies with CEOs who run marathons have a 5% greater value. LRC A Brief History Of Intersex Athletes In Sport Caster Semenya was a big story in 2011. Dutee Chand is a big story this year, and maybe Margaret Wambui? Some people are under the misconception that these are isolated incidents. They are not. A guest column on the intersex issue facing women’s sports, by a former 2:23 men’s marathoner who is now a multi-time national champ as a woman. The Mile Race Distance Gets Some Love From The WSJ For recreational runners, studies show they can get the same health benefits in a lot less time than marathon training. Where Will The Top XC Teams In DI Be Competing This Weekend? For the men, #12 Iona vs. #13 Arkansas at Meet Of Champions. New Research Shows Running Can Help Curb Junk Food Binges Running increases brain function associated with self control. *More Philly News: Dejen Gebremeskel Says He’s Ready For Half Marathon Debut In Philly Gebremeskel, the Olympic 5,000 silver medalist, only ran one 5,000 on the track all summer. 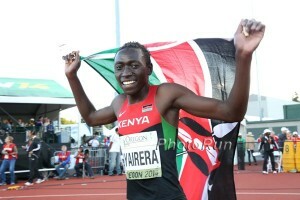 He’ll face 2012 Olympic 10,000 5th placer Bedan Karoki and many others. Shalane Flanagan Talks About Her American Record Attempt In Berlin Next Week We believe that since Flanagan will be paced by Rob Watson and Ryan Vail, so if she sets the record it will only be an American “best” – not record – unless the IAAF changes its rules, which makes no sense since Deena Kastor had a male pacer herself. *$87,000 Statue Of 1957 Boston Marathon Winner John Kelley To Be Dedicated On Sunday In Mystic, CT Details of ceremony here. And The Netherlands: Olympic Marathon Champion Tiki Gelana Will Headline This Weekend’s Dam tot Damloop 10 Miler In Netherlands She’ll face Linet Masai. On the men’s side, a lot of people are running, including defending champ and African 10,000m champ Nguse Amlosom and world junior 10,000 champ Joshua Cheptegei. India’s Version Of Caster Semenya – Dutee Chand – Refuses To Get Hormone Treatment, Resumes Training You can pretty much kiss women’s sports goodbye if she’s allowed to compete. Next Asian Games Will Be In 2018 In Jakarta The 2014 Asian Games start Friday. The next games were initially awarded to Hanoi for 2019 but Hanoi backed out. Osaka International Women’s Marathon Establishes New “Next Heroine” Program The development program is focused on young corporate runners and studly collegians. The Best Men’s 1-Day 100/200 Doubles Justin Gatlin has the best with 9.77 and 19.71, but Ato Boldon has 5 of the top 10. LRC Q&A With Jack And Tim McGowan – The Sub-9 Twins Who Have Gone The DIII Route To Roger Williams University Someone stop the insanity. HS running is now so fast that sub-9 guys are going the DIII route. Meet identical twins Jack and Tim McGowan. *Discuss on the MB: Two sub-9 HSers go to the same college….. And it’s DIII…..
*NBC Nightly Did Feature On Their 4:07 Teammate With Autism, Mike Brannigan Together the three went sub-9 for two miles in the same race. Ato Boldon’s 2014 End Of Track Season Awards: Justin Gatlin And Valerie Adams Are Athletes Of The Year His top event of the year on the men’s side was the HJ and for the women it was the steeplechase as he highlighted the close battles between Emma Coburn and the Ethiopians. BBC Asks “Is Sport Sexist?” – Why Can’t Women Do The Decathlon? They also look at the lighter implements in throws, shorter hurdles and some other sports including cycling and swimming. IAAF Preview Decastar Meeting In Talence, France This Weekend This is the last meet for points in the IAAF Combined Events Challenge. Recovered From Childbirth, 3-Time World Champ Vivian Cheruiyot Targets November Return To XC Cheruiyot will first compete in XC and then is planning on focusing on the 5,000, where she is a 2-time world champ (2009, 2011). Her baby boy, Allan, turns one next month. Article Says 1992 Olympic Steeple Champ Matthew Birir Is Racing Again This Weekend If true, the 42-year-old, who hasn’t raced since 2006, will race Geoffrey Mutai and Wesley Korir at 13.1. Wilson Kipketer And Olympic Champs Hicham El G, Brahim Boutayeb And Khalid Skah Get Hero’s Welcome In Small Moroccan Village They went there for an IAAF Athletics for a Better World event. *On 40th Birthday, El Guerrouj Shows Up Late To Event, But Wows Crowd With Midas Touch In Inspiring Future Generation He stopped to get tea in another village and got lost on his way to the event.